We understand that many students attending a UConn regional campus may also be looking for a residential opportunity to pair with their academic experience. Starting fall 2018, students attending UConn Avery Point and UConn Hartford had the option of living on the UConn Storrs campus and fully immersing themselves in all of the student services available at UConn’s main campus. This opportunity is now available to newly admitted students at the UConn Hartford and UConn Avery Point campuses for fall 2019. Continue to take the majority of your academic credits at the campus in which you were admitted. How will I get to my regional campus from Storrs? UConn Avery Point and Hartford students will have the ability to have a car on the Storrs campus without needing to meet a minimum number of academic credits, as required for Storrs campus students. Parking services is currently making arrangements for one parking permit to be purchased and used at both campuses to avoid having to pay to park at both locations. Additionally, students taking classes at UConn Hartford can utilize CT Transit free of charge. CT Transit offers bus transportation to and from Storrs and Hartford multiple times throughout the day. Will I be able to split my coursework between the regional campus I have been accepted to and the Storrs campus? It is important to remember that your academic campus is either UConn Avery Point or UConn Hartford and it should be treated as such. The majority of your coursework must be taken at the campus in which you were accepted. Your academic advisor, who will reside at your accepted campus, will work with you to create an acceptable class schedule. Can I live in a Learning Community? Choosing to live in a Learning Community is now part of the Housing Application and is open to all students living on the Storrs campus, including those commuting to Avery Point and Hartford. What happens if I cancel Fall 2019 Housing? Regional campus students who have accepted guaranteed housing at Storrs, but cancel their housing and remain at eligible regional campuses (i.e. Hartford campus and Avery Point campus) are responsible for cancellation fees following the cancellation fee schedule. Please refer to the Residential Life Cancellation Policy page for more information. Will my financial aid package be adjusted? Contact the Office of Student Financial Aid Services to determine how your financial aid package may change if you were to live on the Storrs Campus. Do I have a dining plan option? As a residential student on the Storrs campus, you can choose from three meal plan options, all of which offer unlimited access to Storrs campus dining halls during the operating hours. Meal plans can also provide a bag meal option for students commuting to class, therefore missing a Storrs campus meal. All residential students are required to have a meal plan. Can I be a part-time student at UConn Avery Point or UConn Hartford and still take advantage of Storrs campus housing? Students who are enrolled on a full-time basis will be given priority for Storrs campus housing. However, part-time students will be considered on a space available basis. What will I pay in tuition and University fees? Tuition is the same amount at all UConn campuses, however, the fees on each campus vary. By choosing to live on the Storrs campus, your fee bill will be adjusted to reflect Storrs campus fees. You will not be charged regional campus student fees. The Office of the Bursar provides the official University fee structure and most up-to-date information regarding direct costs, indirect costs, and waivable fees. Will I be able to campus change to Storrs sooner if I choose to live on the Storrs campus? 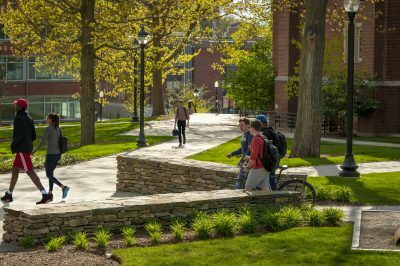 The campus change process will remain the same for all students looking to transition to Storrs to complete their degree, regardless of whether a student has chosen to reside on the Storrs campus. Students will not have the ability to transition (or campus change) to the main campus sooner if they choose to take part in the residential opportunity at Storrs. Students are typically required to complete 54 credits (two years) at a regional campus before transitioning to Storrs to complete a bachelor’s degree. I’m an incoming student interested in this housing opportunity, what Orientation program do I attend? Students admitted to UConn Avery Point or UConn Hartford should attend the Orientation session at the campus in which they were admitted. Our Orientation program has worked to align the topics covered on all UConn campuses. Any residential information not covered during your Orientation session at a regional campus will be covered during the Week of Welcome (WOW) programming when you arrive on campus. More information related to the U-PASS program is available at https://transpo.uconn.edu/u-pass-ct/.